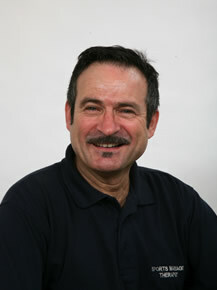 Filipe Lucio has been working within the fitness, sports injury and rehabilitation world for many years. His career started in Portugal , playing both football and handball at a high level. When he moved to the UK he studied to become a personal trainer and Pilates instructor, helping people of all levels achieve their fitness goals. Keen to develop professionally, Filipe enrolled on a course, where he gained a Diploma in Sports Massage Therapy. He has been working as a Sports Massage Therapist since 1997, working in general practice as well as alongside senior football and rugby teams. Filipe provides Sports Massage Therapy to the people of Knaresborough, Harrogate, Ripon, Wetherby and the surrounding villages of the Harrogate District. physiology, along with an understanding of the physical demands of various sports. Treatment involves the application of specific techniques to assess and manipulate the soft tissues of the body, in order to prevent or rehabilitate musculoskeletal injuries. beneficial to people who suffer from general aches and pains usually brought on repetitive movements at work or more commonly bad posture. Through treatment, the build up of aches and pains that are often ignored or suppressed with drugs can be alleviated and the risk of further, more serious injury can be reduced. Reduces stress, improves general wellbeing and helps with relaxation. Helps remove built-up toxins & metabolic waste. Filipe combines deep tissue massage and stretching techniques along with advice on strength and conditioning exercises to help with injury prevention, recovery and rehabilitation.